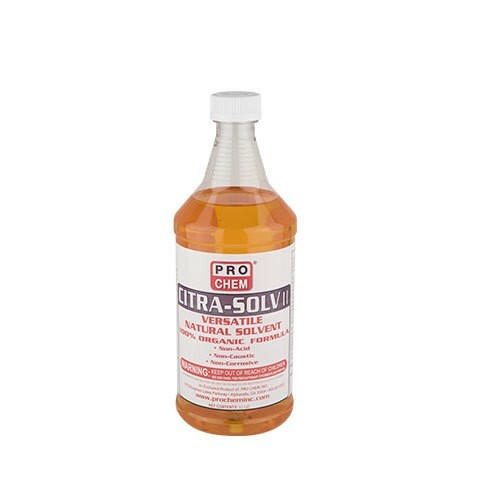 Citra-Solv II | Pro Chem, Inc.
CITRA-SOLV II is a VOC-compliant version of Citra-Solv. 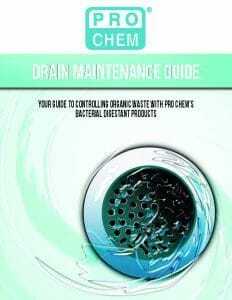 It is a great product for drain maintenance. When used in a weekly drain maintenance program , it will keep drains free running and sanitary. Made from the highest quality orange solvents, this product is a truly remarkable 100% organic formulation. CITRA-SOLV II is intended for use as a compound in drain lines and/or sewage systems in areas of official establishments operating under the Federal meat, poultry, shell egg grading and egg products inspection programs where there is no possibility of food contact in food processing and food handling establishments. To unclog drains, 3-4 ounces of CITRA-SOLV II directly into drain. Let stand for 5-10 minutes. Flush with hot water for 2-3 minutes.